A veritable battlewagon, the Marlin 300 has been in Grady's lineup continually since 1989 and for good reason. A simple Google search will provide the boat's many accolades. 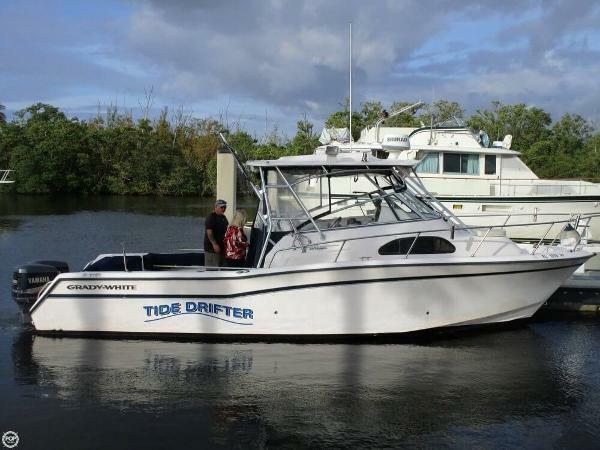 "Tide Drifter" is a VERY reasonably priced and well equipped, bluewater fishing boat! 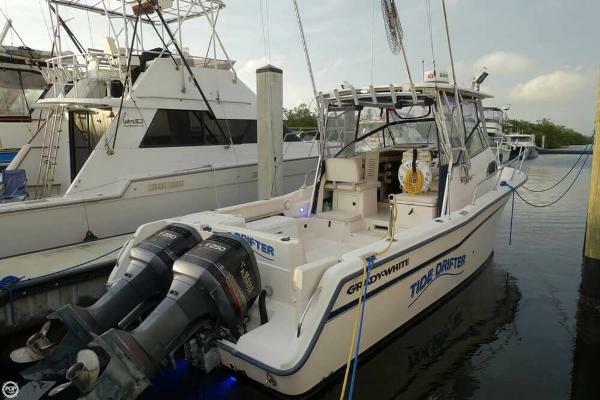 Designed for both the hard-core angler and for the family, this boat really does have it all and for under $50,000.00? Wow! 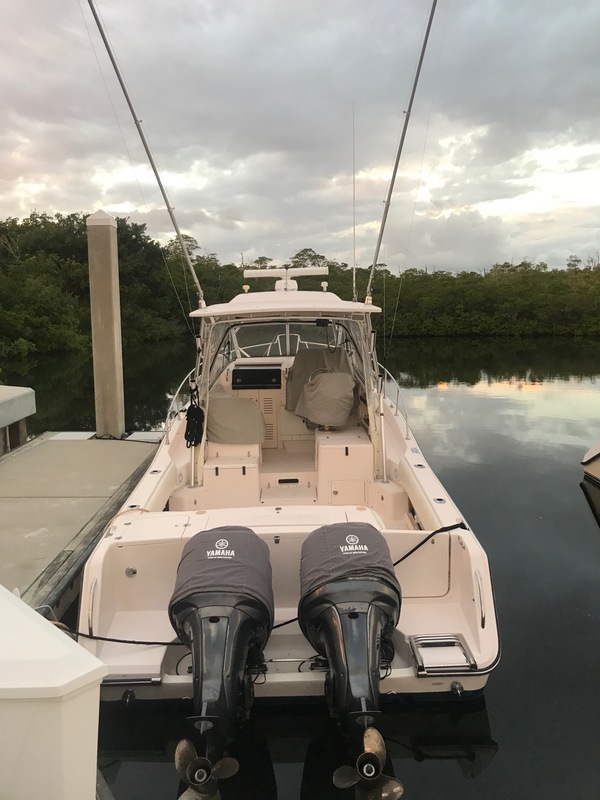 Yamaha OX66 Saltwater Series 250HP 2-Strokes with 351 hours New Simrad NSS12 Touch Screen GPS New Simrad 4G Broadband 64 Mile Radar Simrad Network Autopilot Standard Horizon VHF Northstar952XGPS Furuno FCV-562L Fishfinder JVC Stereo System Kohler 4KW generator with 75 hours 8000 BTU Cabin AC Lee 30' Wishbone Outriggers Trim Tabs Newer Isinglass helm enclosure Remote Spotlight All cushion and pillows reupholstered in 2017 306 Gallon Fuel Capacity provides up to 400 Mile range The Grady-White Marlin 300 is a 30-foot walkaround cabin that has a stable, roomy cockpit full of fishing-friendly features including: built-in rod holders, tackle station with sink, insulated bait box and lockable drawers, and a 275-quart insulated fish box. 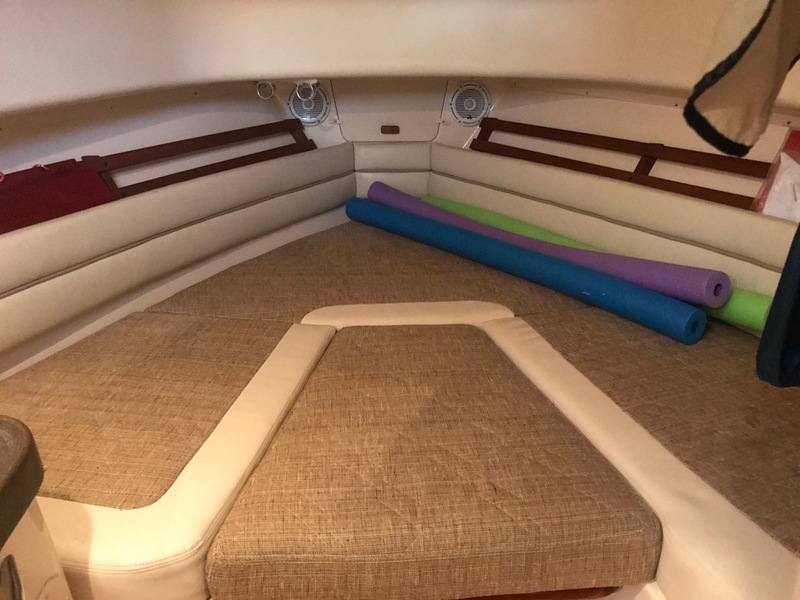 Toe rails and the high interior freeboard provide an extra measure of safety for leaning out to gaff a fish or pick up a ski. 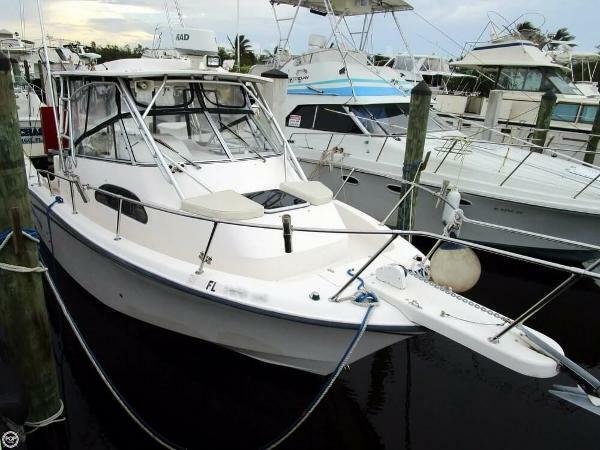 The stern of the Marlin 300 has a molded-in bench seat, swim platform with stainless steel ladder, and an 80-quart livewell. The cabin has a forward V-berth and an aft double berth, as well as an enclosed head, microwave, fridge, stove, and stereo system. Come have a look, but bring your checkbook as this one won't last long!